As an innovative provider of abrasive blasting services, Hunnicutt’s, Inc. offers our clients unmatched experience, expertise and cutting-edge surface preparation solutions. 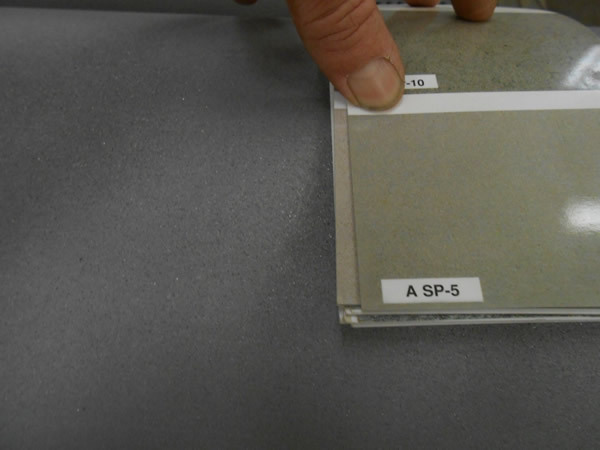 Long before any industrial coating is applied, we first determine the correct media and method of preparation to optimize your surface. It doesn’t matter if your surface requires dry abrasive sandblasting, vapor abrasive blasting, or hand power tool cleaning, we have the knowledge and expertise to provide the right surface preparation for your coating project. When metal and concrete surfaces need to be renewed, sandblasting is a reliable method of surface preparation. Our staff includes over 100 years of combined sandblasting experience and (6) SSPC C-7 Certified blasters. With both field and shop services available, Hunnicutt’s, Inc. has the equipment, training, and experience to handle your next sandblasting project. With both shop and mobile vapor abrasive blasting capabilities we provide our customers the benefits of traditional sandblasting while protecting your equipment, facility & the environment from the potential damage of airborne dust & blast media. 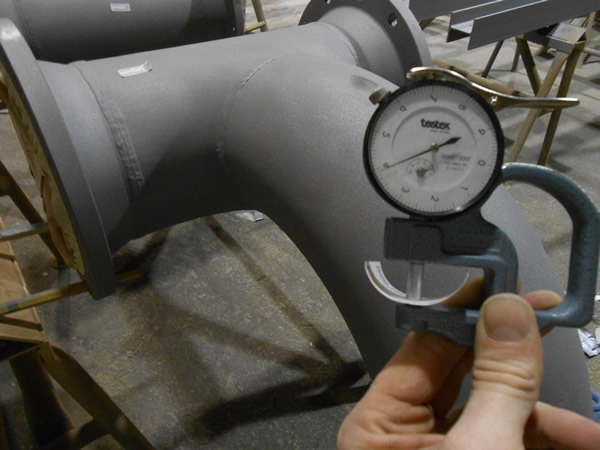 In certain environments with strict containment & clean up requirements the change from traditional dry sandblasting to vapor blasting can shave days, if not weeks, off your project timeline. Some projects call for surface preparation in areas inaccessible or impractical for traditional blasting which is why our crews are trained in the use of top of the line mechanical abrading tools & equipment. 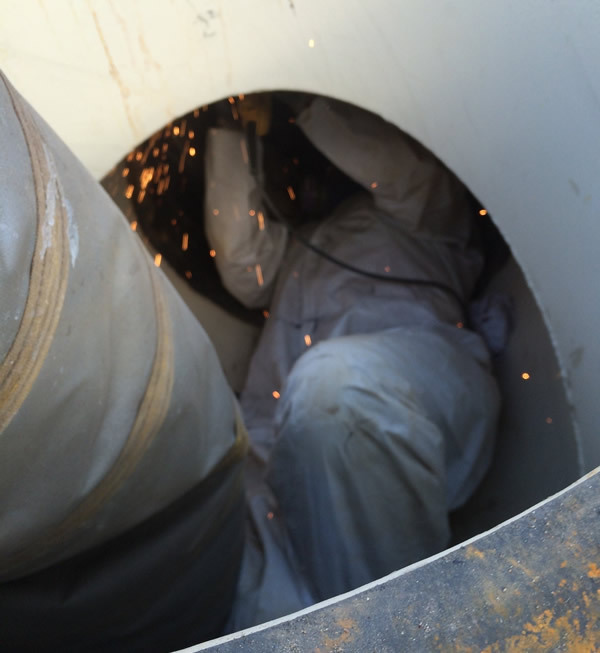 Whether it is bristle blasting the engine room bilge of your ship or performing corrosion control hundreds of feet inside a pipeline, we have the people and products to meet your surface preparation needs even when sandblasting is not an option. With all the necessary surface preparation equipment at our disposal our Project Managers are ready to meet your specific project needs. 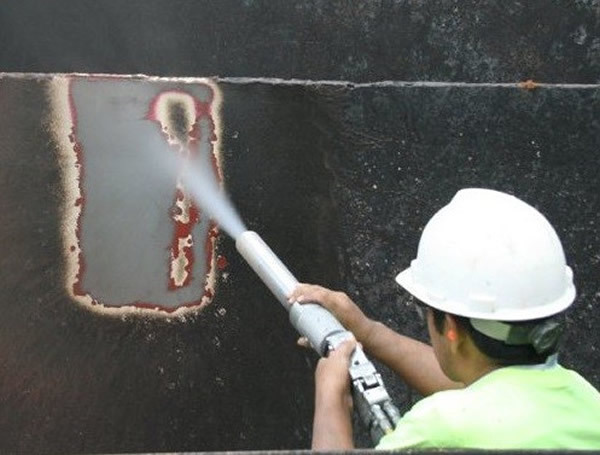 Contact us today to discuss your site-specific needs, and together we can determine if dry abrasive blasting, vapor abrasive blasting, or some other form of surface preparation, is right for your project.